A post-apocalyptic adventure of tactical choice and precision await us in Mutant Year Zero: Road to Eden. 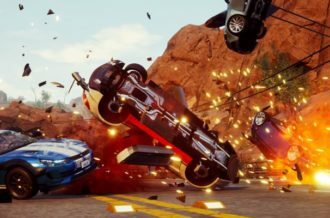 Brought to life by Swedish developer The Bearded Ladies Consulting and published by Funcom, the title utilizes the skill of former Hitman leads to uniquely combine stealth mechanics with tactical gameplay. It’s a feature not often seen in tactical RPGs that is seamlessly integrated into Mutant Year Zero. And while the gameplay style is very much like that of XCOM, it’s a pleasant surprise to see that the title actually had an overworld to explore rather than deploying on missions over and over. Gameplay is familiar and intuitive, yet does suffer from inconsistencies that dampen the experience. The combination of stealth tactics, world exploration and intriguing story make for stellar game content, despite gameplay hiccups, so let’s get into the nitty gritty. Our backdrop is a bleak future resulting from years of pollution and environmental neglect. Dwindling natural resources and a mysterious “Red Plague” created geopolitical conflict that eventually ended in nuclear holocaust. The shreds of humanity left over are a mix of humans and mutants. The last haven of survival is The Ark: our base of operations where we can frequently return to purchase upgrades, equipment and other perks. The Ark runs on the cooperation of all, with the mutant members of this society being the breadwinners. Venturing out into The Zone (the overworld) means certain death for human civilians, but mutants have the vitality and skills to survive the harsh environment and retrieve necessary resources. Various threats like Zone Dogs, killer robots and ghouls plague The Zone and are constantly patrolling vital locations on the map. Our main antagonists are the fanatical Nova Sect ghouls, who were survivors of the apocalypse that made their home in The Zone. They have an almost religious fascination with bringing about the end of the world and remaking it in their image. 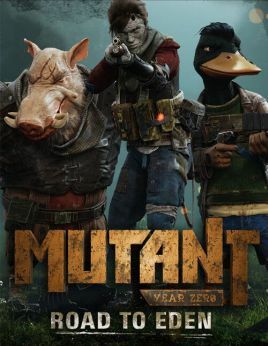 Mutant Year Zero excels at providing a solid cast of characters and creating an intriguing story that keeps players asking, “what next?” Witty dialogue and a funny script give the title a unique personality. The adventure begins with two of our main mutants searching an ancient crash site for scrap. Dux, a wisecracking mutated Duck, and Bormin, the gruff down-to-business mutated Boar, are immediately charming and likeable characters. Their exchanges are witty and they work with each other well both tactically and personally. After encountering a couple of Ghouls in a tutorial-like scenario, players are free to explore the area for resources. Scrap serves as the lifeblood for The Ark, as it’s needed for construction and upkeep. Scrap serves other purposes as well as it becomes one of our currencies we can use to buy gear from the shop in The Ark. Two other types of currencies can be found in the world and are also used for upgrades and perks. 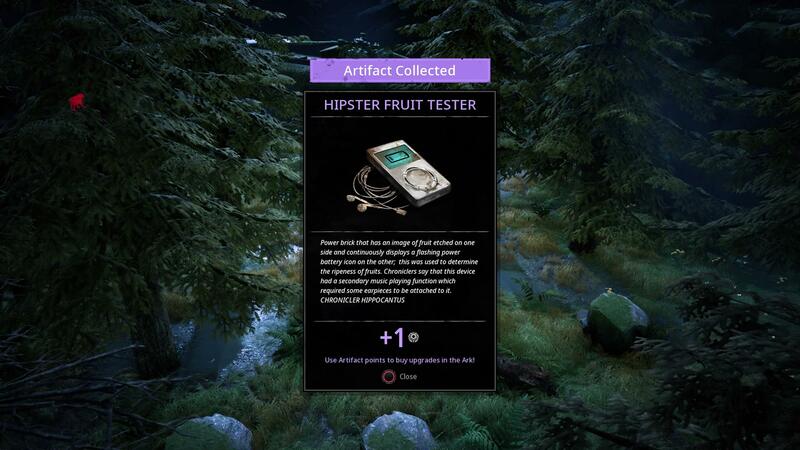 Weapons parts can be found in the world for our gear and ancient “artifacts” (like that iPod I lost years ago) can be traded for perks like shop discounts and additional damage done with weapons. Searching diligently may even uncover loot chests with better armor or better weapons to equip. The ability to explore the overworld and search for these items, along with collectibles, create a nice depth to the game to make it more than just a tactical title. 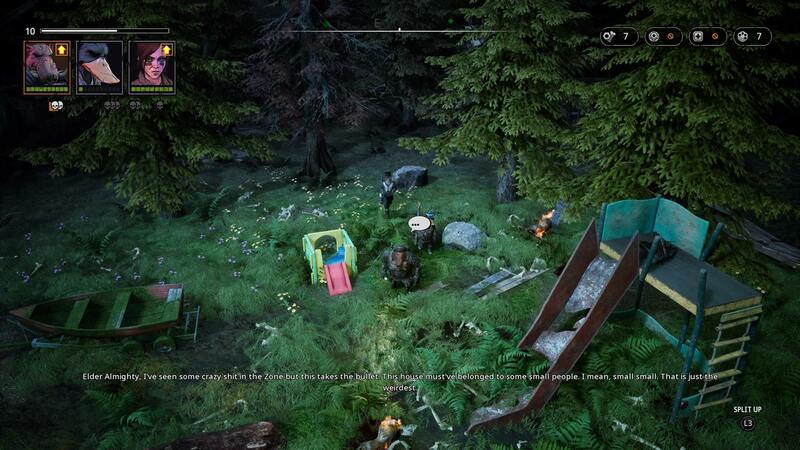 It plays nicely like an isometric RPG by creating areas to explore and characters with which to interact. 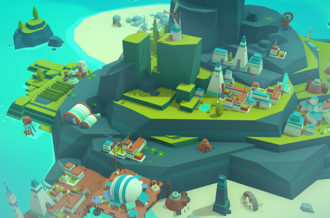 While tactics are the main focus, this overworld allows for free roaming exploration that other tactical titles like XCOM or Fire Emblem don’t incorporate. While it’s possible to free roam, this also means higher level enemies are encountered that must be returned to. Mutant Year Zero has a unique mechanic that blends seamlessly with the tactical gameplay. When approaching enemy encounters, there’s a few different options for how to engage. If enemies are over-leveled, you are able to sneak past them and come back another time. If enemies are within your fighting level, you’re able to sneak into position for stealthy assassinations. It’s possible to go in guns blazing, but where’s the fun in that when enemies can be picked off silently for better chances? Mutant Year Zero doesn’t place stealth as an afterthought, instead making assassination tactics want to be used in an integral way. It may not be possible to take down every enemy in a stealthy manner, as many trials by error have taught me, but it does change up tactics that allow the player to control the flow of battle. While playing “chess with RNG” (I might trademark that), care must be taken to ensure units are outfitted properly. There’s room for customization of characters on a basic level. While exploration and traversal plays like an isometric RPG, the skill trees and gear loadouts are primarily for tactical encounters. 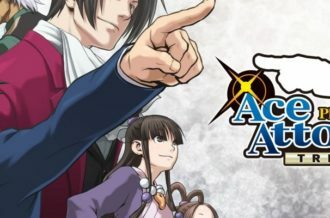 As the world is traveled through, the story takes players in search of The Ark’s lead mechanic who has gone missing while searching for evidence of the mythical utopia Eden. Along the way, even more mutants are encountered that join your party, each with their own set of special skills to create a well-balanced team. Dux was my longshot for stealthy assassinations. Bormin was my enforcer tank. Selma, whom we meet later, set my traps for enemies. The variation of mutants was also reflected in personalities and interactions to give true character. They provide more depth to the game and serve as more than just pawns in matches. When successful in taking down enemies, mutants are awarded experience to level up. 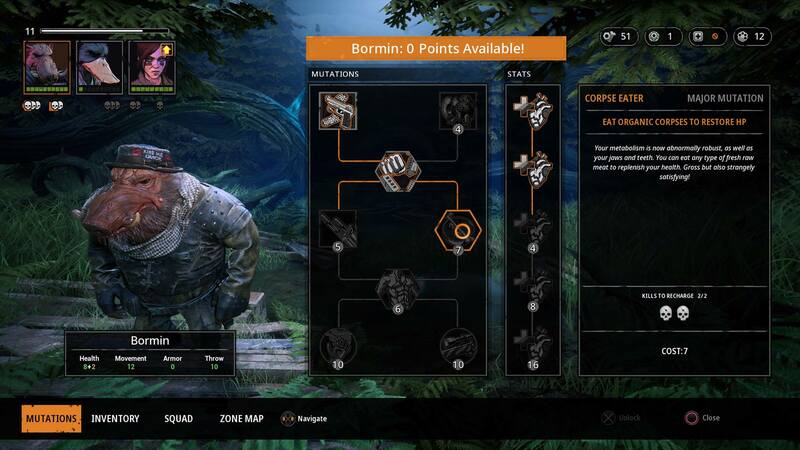 Experience points can be used to upgrade skills in the skill trees, some mutants have very specific mutations that furthers their fighting class. There are some survivability skills that can be found across all mutants, but it’s obvious that each has a distinct fighting style for a variety of tactics. Combat plays like XCOM in addition to stealth mechanics. There are various terrain options that yield benefits and disadvantages which play into equipment load-outs and skills. Yet with as much variety in mutants and antagonists, gameplay does suffer from inconsistencies. 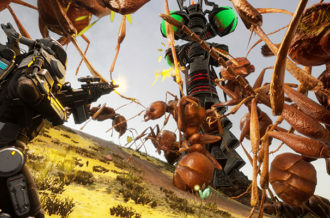 It’s possible to sneak around higher level enemies, yet the way the game is set up, every possible enemy must be defeated in order to even move forward in the story. This means that even bypassing enemies that can be defeated serves no purpose since we need the experience to move to other necessary areas guarded by powerful Ghouls. This put a block on my progress simply because I bypassed one group of ghouls that outnumbered my team. I had to circle back around to defeat them in order to move forward. Even more surprising, after a near-death encounter, visiting The Ark to restock on gear forces players to scavenge since medic kits must be purchased in order to restore health. There’s no doctor to heal us in bulk for a set cost. If you haven’t scavenged enough scrap to buy medkits, it looks like you’re out of luck and will have to continue with low health party members. With the theme being “post-apocalyptic,” the game is counter-intuitive in forcing us to waste resources in this necessary grinding. When I finally leveled up enough to take down stronger enemies, it didn’t matter that enemies were still overleveled. At level sixteen, I was able to easily defeat level twenty enemies (it should be noted that my playthrough was on “very hard” difficulty, which is only surpassed by one other difficulty). I actually had a much harder time taking down enemies of my same level and would reset the encounter numerous times. So this begs the question, are my mutants over-compensated or are the enemies under-developed? Why was it so difficult to defeat enemies of my own level, yet so easy to defeat stronger enemies? It’s this kind of imbalanced gameplay that puts a frustrating wrench in the playthrough. Despite mechanics issues, Mutant Year Zero: Road to Eden offers a good variety in gameplay styles, character customization and solid worldbuilding. Intriguing story with fun, witty dialogue make the title a memorable experience with unique personality. The open overworld and exploration are an excellent touch and provide something new and fresh to the tactical genre. Gorgeous visuals make you want to explore each area and even create an excellent atmosphere for post-apocalyptic survival. Fans of tactical RPGs can appreciate the stealth mechanics that become integral to combat encounters. It’s a simple touch that expands the gameplay repertoire and provides multiple levels to combat. Being able to stealthily pick off enemies can even streamline encounters and open up tactical options. The various mutants met with special skills can all be utilized for specific situations and provide the option to create a well-rounded team. Tactics-wise, Mutant Year Zero knocks those mechanics out of the park. 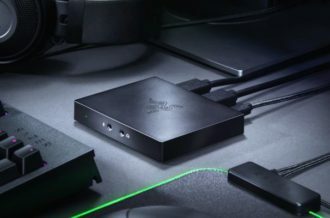 Gameplay inconsistencies and forced grinding can wear one down, however, and keep the title from reaching its full potential. Overall, Mutant Year Zero: Road to Eden is deserving of attention and provides solid entertainment for tactics fans.